Web performance expert Tammy Everts reflects on years of experience and data, noting that the average Web page today is 2219KB in size, compared to 991KB just four years ago. Let’s Encrypt is a new certificate authority offering free SSL/TLS certificates - how easy is it to get started? t2.nano instances provide a baseline level of processing power with the open to save up unused cycles for future use. Each t2.nano instance has 512MB of memory and 1 vCPU, and costs as little as $2.10 per month. 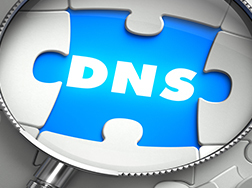 DNS resolution has a bigger impact on web performance than you might have thought. Verisign shares tactics they use to ensure the impact is positive. A look at how one company uses the open-source continuous integration server as their ‘universal hammer’ for things like admin tools and running long running scripts. Some high level reflections on becoming more familiar with Web security concerns. Mat Marquis summarizes his presentation at various conferences focusing on ways developers can reduce the size and increase the speed of the mobile web sites they build. NATS.io is an open-source, cloud-native messaging system for distributed systems. OpsCare by reinteractive provides OaaS for Rails apps letting your team get on with building features instead of worrying about your servers... Go on, give your team a break these holidays and let us wear the pagers! Provides a programmatic way to access prices for Amazon’s Web Services.